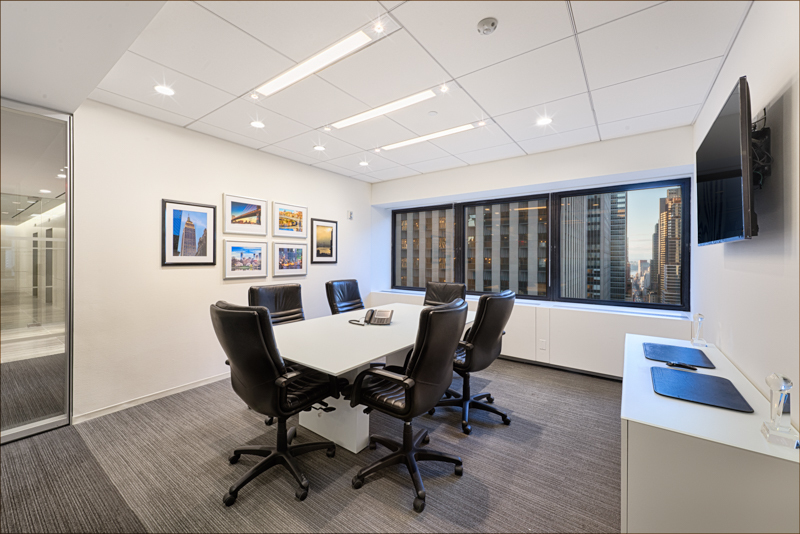 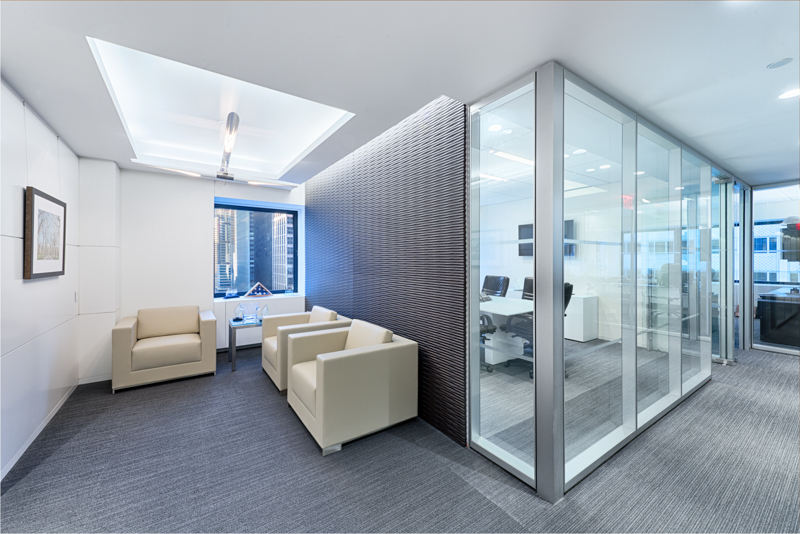 The CDG project involved a complete build-out of an open plan concept – one which needed to include private offices as well. 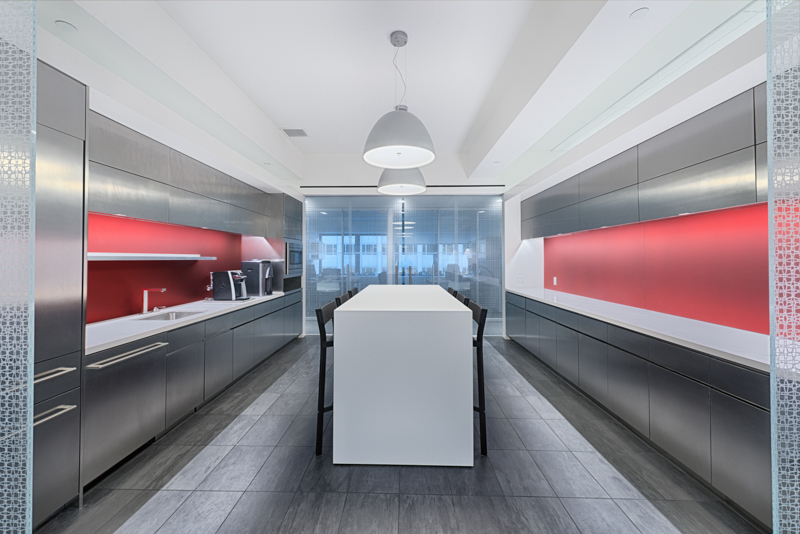 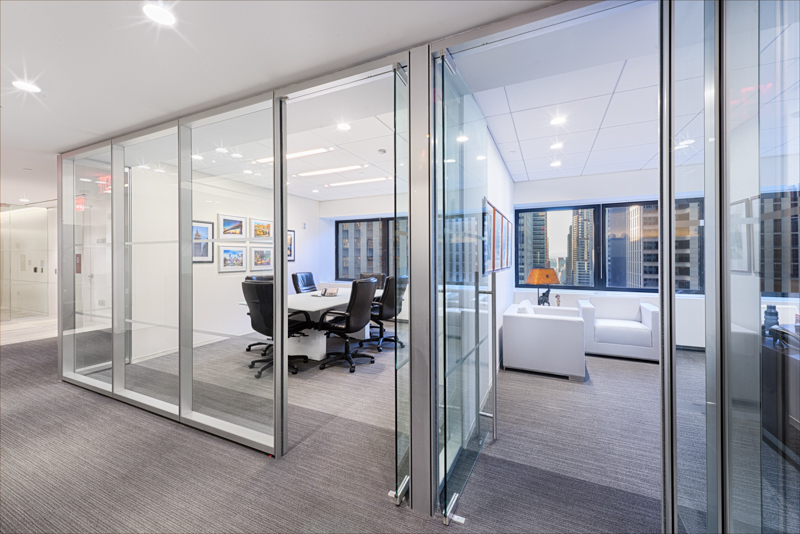 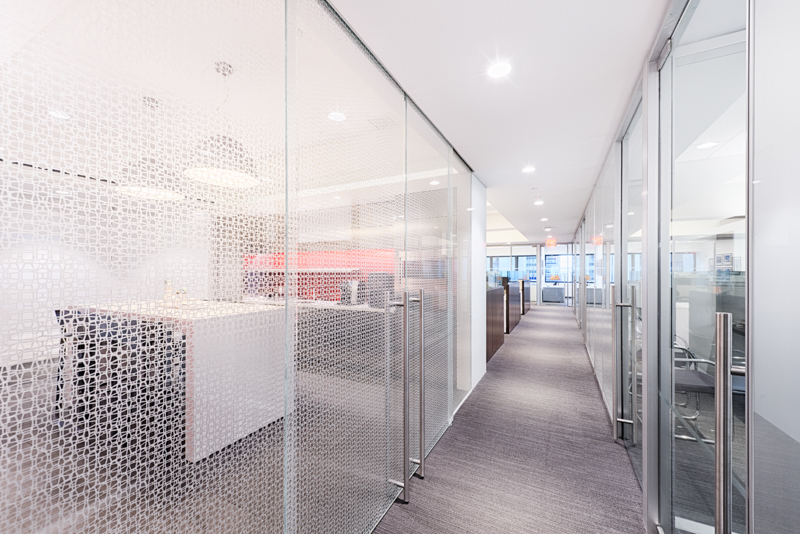 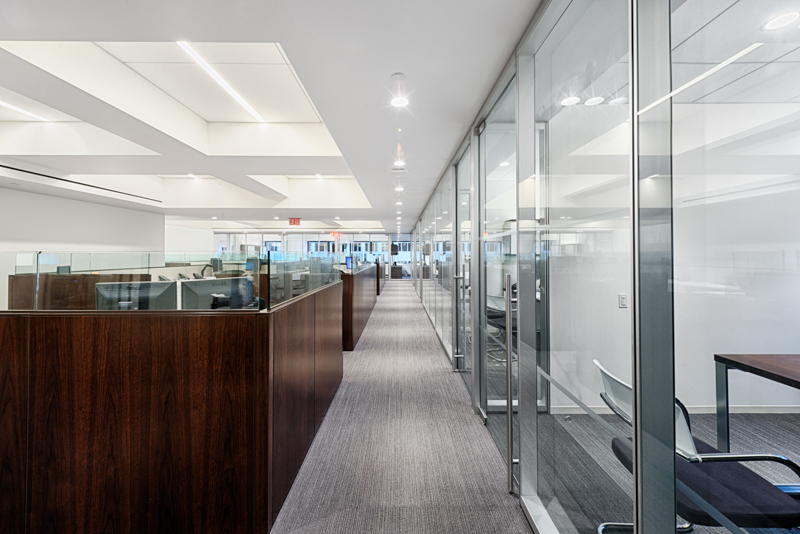 Glass fronts were used for the perimeter offices to maintain that feeling of openness, and a centrally-located full-sized pantry was surrounded by decorative glass paneling and sliding glass doors for an uninterrupted flow. 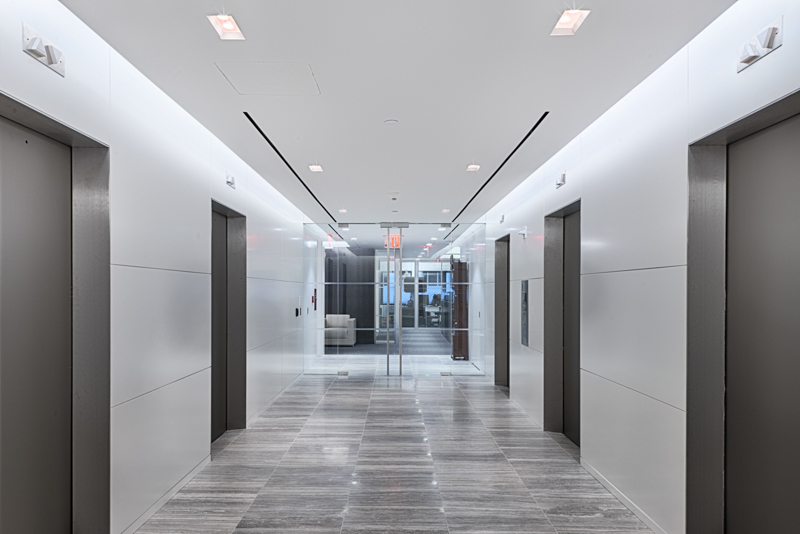 A private executive lavatory with a stand-up shower was installed, while the elevator lobby was upgraded with marble floors and lacquered panels to create a dramatic entryway.